What does efficiency mean? I asked myself this question and came back with another: “Why when the company asked ME to write an article, did I decide to write about efficiency?” I started by asking my fiancé what his definition of efficiency is. Although his definition is technically correct, I would describe efficiency as: "being able to complete any kind of task without wasting time, money, materials or resources." My definition matches our processes of assembling custom circuit boards better. In our shop, every job starts in the stockroom. Depending on what the customers want, instructions and training are provided to all employees so they are informed about all the parts in a way that our customers will be satisfied. The production process continues to the assembly floor. The slide line is the beginning of the “building” process which assembles the boards from the base board to full populated custom circuit boards. Everyone here at RBB, includes engineers to managers and quality personnel, work together to complete jobs. We have learned to “swarm” to get jobs done quickly and correctly so we can add value to our performance. This is very effective because everyone has the knowledge to follow instructions and learn from training. Swarming from one department to another enables us to get what the customers need in a timely manner. We work together in an assembly line. 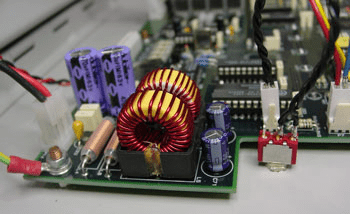 One person starts by putting different electronic parts into the board by following color-coded instruction sheets. When their section is completed, that board is pushed to the next station for another assembler to continue. Repeat until the board is filled with required parts. Working together we make sure all the parts are where they are supposed to be, making the workload and workday go smoothly. 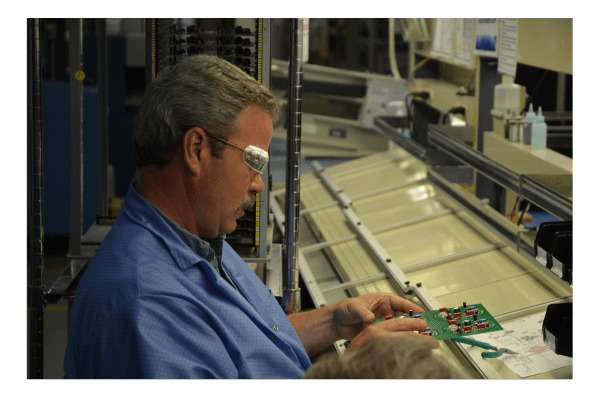 I personally enjoy working with electronic assemblies because I have learned more about how custom circuit boards are built and what is needed to make a product work. My job title at RBB Systems is SMT Inspection. I inspect all the boards that are run through our SMT department. Parts include diodes, resistors, IC chips and other small parts that can be picked up by robotic heads and placed onto bare boards. My co-workers and I work together to get the boards inspected and reworked (if needed) before the boards go to production for hand-assembly work. I truly enjoy helping the company out and being as efficient and flexible as I can. what I can to help my co-workers when an employee is on vacation or when an extra hand is needed for the day. Regardless of the job title, each of us plays an important role in managing efficiency and ultimately, the overall profitability of this shop we call home. 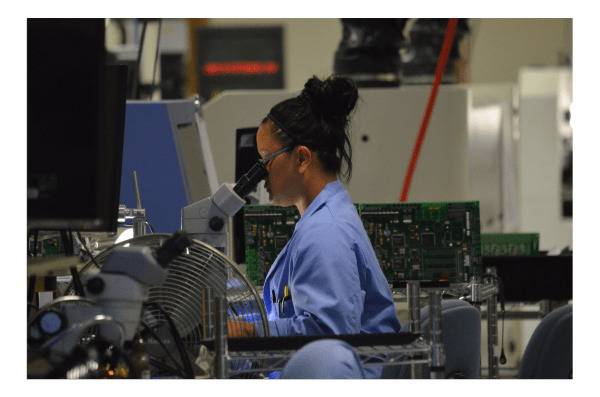 How does your electronics manufacturing company ensure efficiency? Do you use any of the same tactics? Let us know below! If you're interested in learning more about the RBB culture you can also check out our RBB video here!